One of my fun hobbies is to go to rummage sales. So much fun and when you find something you have been looking for then that just puts a smile on my face. It is true that early birds get the best worm. The only thing is don't get the seller upset by being there too early simply get there at the very beginning. Geting there at the end has its benifits as well. Since sellers normally like to get rid of what they had left behind than to pack it all up there are normally good chance for great buys. If you find something you are really interested put your tabs on it pick it up, carry it with you or have someone watch it if it is to big to carry around. It is a whole lot easier to change your mind and put it back than to grab it if someone else decides they like it as well. Great advice is to try it before you buy it. This way you dont get home and be disappointed because an item you purchase does not work. If you plan on purchasing a lot become a piler and make a pile and ask if they can do any better on all of that. Cook lentils in boiling salted water for 20 minutes, or until very soft. Drain well. Place in food processor and pulse until very small bits. Saute the carrots, dates, onion, celery in the butter in a large skillet over medium high heat for 6 to 8 minutes, until very soft, stirring frequently to remove moisture. Add in garlic, cumin, A-1 sauce and soy sauce and cook another minute.Â Add this skillet mixture to food processor and pulse until very well blended. Remove from food processor and stir in pecans, rice, bread crumbs and eggs. Place a tin foil sling into a loaf pan and spoon mixture into pan.Â Bake for 30 minutes at center of oven. 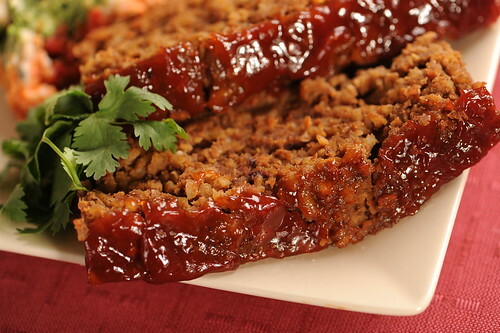 OPTIONAL GLAZE:Â While mixture is baking, simmer for about 2 minutes in a small saucepan 1 cup ketchup, 1/2 cup brown sugar and 1 tablespoon vinegar, until thickened slightly. Remove loaf from oven and spread sauce on top. Return to oven and bake another 20 minutes. 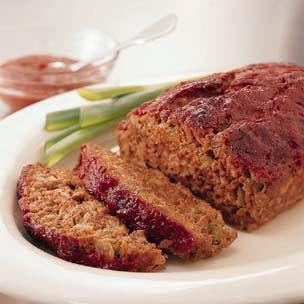 Slice and serve as you would meatloaf. Place the eggs in a large saucepan and add enough cold water to cover them by 1 inch. Bring to a boil. Remove from heat, cover, and let stand for 12 minutes. Drain the eggs and run under cold water to cool. Peel the eggs and cut in half lengthwise. Transfer the yolks to a small bowl and mash with the mayonnaise, lemon juice, mustard, cumin, and ¼ teaspoon each salt and pepper. Spoon the yolk mixture into the egg whites, top with the jalapeño, and sprinkle with the ground chipotle. In a small bowl, combine the tomatoes, jalapeno, onion, cilantro, garlic, oil, salt and pepper. Refrigerate until serving. Serve with tortilla chips. Yield: 1-1/2 cups. In a Dutch oven, brown chicken in oil in batches. Add garlic; cook 1 minute longer. Add the tomatoes, cumin and chili powder. Bring to a boil. Reduce heat; cover and simmer for 15-20 minutes or until chicken is no longer pink, stirring occasionally. Fill each tortilla with about 1/2 cup chicken mixture. Serve with toppings of your choice. Yield: 12 servings. Mix all ingredients and bake in a 9 x 6 loaf pan at 350 for an hour and a half. Halfway through the cooking, pour glaze over it. Toast walnuts lightly in a small skillet over low heat with 1 teaspoon oil, stirring frequently, about 5 minutes. Remove from heat; sprinkle with 1/4 tsp seasoned salt. Cool. Beat together remaining oil, salt, lemon juice, sugar, marjoram, and dill weed. In a large bowl, combine greens, shrimp, tomato, radishes, olives, and chives. Stir dressing; pour over salad. Toss until evenly coated. Add walnuts and mandarins; toss again. Sprinkle with cheese. Serve at once. 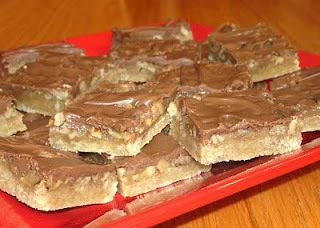 These are an all time favourite - terrificallly easy and very, very naughty. You can whip them up in minutes. Combine flour, 3/4 cup brown sugar and 1/2 cup butter; blend until crumbly. Pat mixture firmly onto bottom of ungreased 9x13-inch baking pan. Sprinkle pecan halves over the unbaked crust. Set aside. every southern mama has their own recipe for delicious banana pudding and here is another one to add to the rest YUMMY!!!! Prepare Pudding: Preheat oven to 325°. Arrange one-third of vanilla wafers in a medium-size ovenproof bowl (about 2 qt. ); cover with one-third of banana slices. Repeat layers twice with remaining vanilla wafers and bananas. Whisk together milk and next 4 ingredients in a heavy saucepan. Cook over medium-low heat, whisking constantly, 15 minutes or until pudding-like thickness. Remove from heat, and stir in vanilla. Pour over vanilla wafers and bananas in bowl. 3. Prepare Meringue: Beat egg whites at medium speed with an electric mixer until foamy. 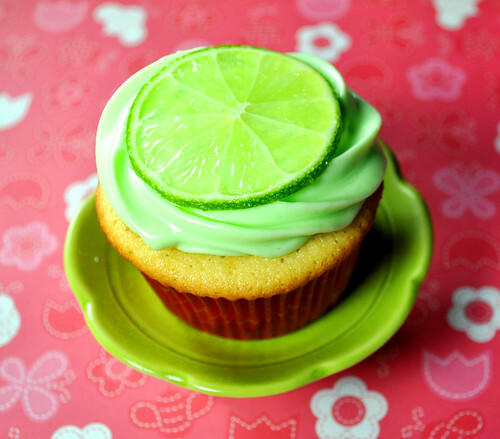 Gradually add sugar, beating until sugar dissolves and stiff peaks form. Spread meringue over pudding, sealing to edge of bowl. Bake at 325° for 15 minutes or until golden. Serve immediately, or let cool completely (about 30 minutes), and cover and chill 1 hour before serving. Bloomingdales supports the Joyful Heart Foundation. This special foundation was fonded by celebrity mom Mariska Hargitay. The mission of Joyful Heart is to heal, educate and empower survivors of sexual assult, domestic violence and child abuse. The group tries to shed light around the darkness that sorrounds the issues involved. a Rally for Real Moms coupon to help your family stock your freezer with Freschetta in time for Mother's Day. Mother's day is less than 2 weeks away. Have you found the perfect gift for your mom? Let me share with you a sweet gift that many mothers would love to get. Yummy delicious caramels with fillings as sweet as the chocolate on the outside. The old saying "Life is Like a box of chocolates" is true and so much more tastier when they are filled with caramels. I recently was sent a mothers day gift from Lula' s Chocolates and must say that they are truly delicious. While I ate one or two myself I also shared one with a child of mine and they totally agreed having their mothers sense of taste. Rocky Road candy is one of my moms favorites. I can remember as a child this was probably the only thing I ever saw her be a bit stingy with. While my mother would purchase us candy to enjoy her sweet treat of choice was Rocky Road chocolate treat. Lula's Chocolates has created a aloha rocky road treat that contain both artisan marshmallow and roasted macadamia nuts. I am sure that my mother would be delighted with this sweet treat. This treat was included in the package we received in the goodies from Lula's Chocolates and I must say the delicious taste of it was something that was compared to none I had before. The nuts, chocolate and marshmallows wrapped their selves around each other and pleases my taste buds. With Mother's Day just a short time from now why not purchase your mom, wife or special lady in your life some sweet chocolate from Lula's Chocolates. Visit Lula's Chocolates website at http://www.lulas.com/ As a bonus use the code LoveYourMother for an extra 20% off. When setting up for a party keep in mind how the guest will travel. This will help you to seat guest, plan on where the bar should be Also keep in mind what type of food you will be serving. Think about what foods will need ice to stay cool and what foods you will serve that will be ok at room temp. Transfer to a 5-qt. slow cooker. Stir in the tomatoes, corn, black beans, broth, tomatoes, garlic powder and seasoning blend. Cover and cook on low for 6-8 hours or until heated through. Stir in rice; heat through. Sprinkle each serving with cheese. Yield: 11 servings (2-3/4 quarts). It is cold and flu season here again and time for every remedy in the book to come out. Let me share with you one that my mother taught me many years ago. Every time I had a cold, the flu or other illness my mother sat a humidifier near my bed. It always made me sleep better at night and that was something that I learned to do when I was sick. The more I slept the better I would feel. A lesson that my children learned innocently enough by their selves. Now that my children are having their own children I recommend to them to have a Crane humidifier for their own children to help soothe illness. Crane humidifiers help to keep the air moist for easier breathing and adds to a good nights sleep. The coolness helps to relieve cough, cold and flu like symptoms. Symptoms like nasal congestion that we all hate and know that it adds to suffering during the illness because it is so hard to breathe, the dry cough that keeps us up with the constant hacking and soreness, the sinus irritation that leads to nasal problems and often nose bleeds. One symptom that I never gave credit for the humidifier to help was dry skin and irritation that come from eczema and the winter and dry weather. 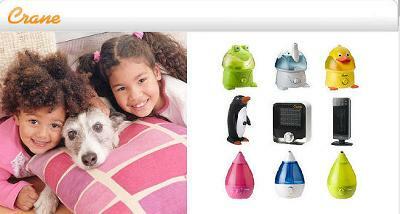 The Crane Humidifier uses only a gallon of water placed into its tank and will run whisper quiet for 24 hours. The cool mist that it gives off was something that I so remember of the days when I was young. Adding to the dryness of the air a source of moisture up to 2.1 gallons per day. The vaporizer works best up to 250 square feet and includes a night light function. To me the night light is an extra bonus that Crane so sweetly adds along with an safety switch. Best of all unlike the old time vaporizers the new Crane one require no filters. We were sent the Sponge Bob character humidifier for review purposes. I loved this because Sponge Bob is a friend of all. My grand kids love him, my teens love him and I love him as well. This one is staying in my home so that if any of Nana's loves, or mamas babies or even I could use it whenever needed. I was delighted when it arrived as once again we have entered a phase of cold and flu season. This means that Crane Sponge Bob will come in very useful. when I was a kid fathers day was a special day for dad and a time to build up his tool collection. I can remember fond memories and while the tools that we bought him were never real big they always made his day because we thought of him This Father’s Day, Black & Decker wants to help one special dad get his backyard prepped and turned into an oasis for summer-long grilling and entertainment — without the added expense. Of course it can also be a special place to call his own, if he wants. Combine first 7 ingredients; place in a greased 2-quart covered casserole pan. Pour milk over top; season to taste. Bake, covered, at 350° for 1 1/2 hours. If you like it crispy on top, uncover for last 1/2 hour of baking. Makes 8 servings. Preparation: Bring 4 cups of water to a boil. Dissolve each box of flavored jello separately into one cup of boiling water. Pour each flavor into a separate container to set (I used small glass dishes). Place in refrigerator to set for at least 4 hours. Once flavored jellos are set you can start making the white part. Bring 2 cups of water to a boil. Add plain gelatin to boiling water and stir to dissolve. Add can of sweetened condensed milk to gelatin and set aside to cool for about 30 minutes. Meanwhile, very lightly spray a 9″ by 13″ oblong pan with cooking spray. Cut colored jello into small cubes, you can vary the cube sizes if desired. Place jello cubes into prepared oblong pan layering and carefully mixing up the colors. Pour the cooled gelatin/milk mixture over the colored cubes. Refrigerate overnight. Carefully cut jello into desired sizes and shapes and serve. In a large saucepan, cook beef and onion over medium heat until meat is no longer pink; drain. Stir in the tomatoes, water, tomato paste and spaghetti sauce mix. Bring to a boil. Reduce heat; cover and simmer for 15-20 minutes, stirring occasionally. 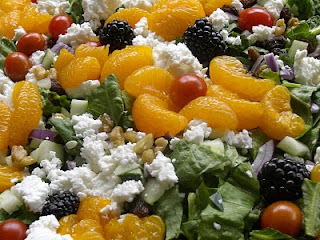 In a small bowl, combine the egg, cottage cheese and Parmesan cheese. Spread 2 cups meat sauce in a 13-in. x 9-in. baking dish coated with cooking spray. Layer with three noodles, half of cottage cheese mixture and half of remaining meat sauce. Repeat layers. Cover and bake at 350F for 50 minutes or until a thermometer reads 160F. Uncover; sprinkle with mozzarella cheese. Bake 10-15 minutes longer or until bubbly and cheese is melted. Let stand for 15 minutes before cutting.